Vitamin D is incredibly important to health but it is difficult for our bodies to create enough of it. Exposure to sunlight is necessary for the synthesis of vitamin D3, and this is an obvious challenge in our climate. Vitamin D is also found naturally in meat, fish, eggs and dairy but it can be difficult to obtain enough vitamin D from food without over thinking and potentially taking in excess calories. 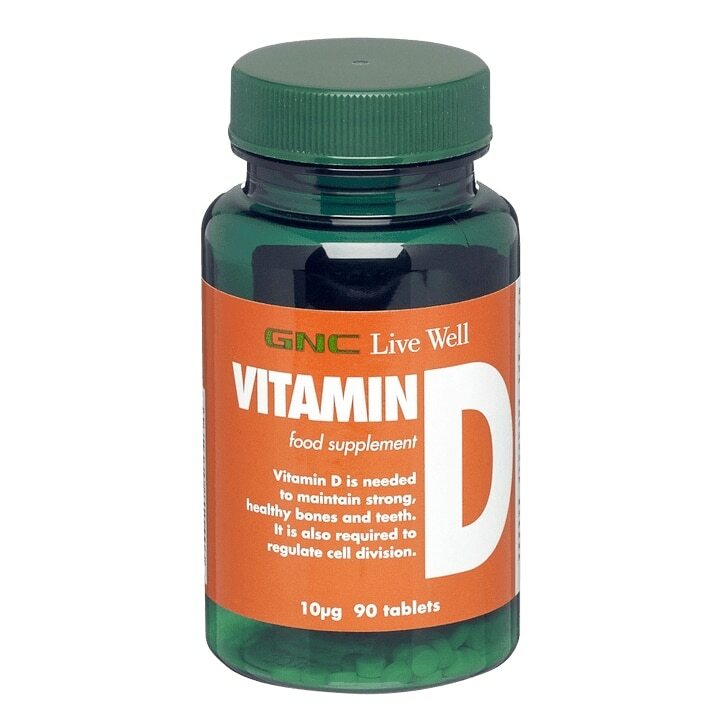 Consider taking a daily 10mcg vitamin D supplement if you are a vegan or vegetarian, if you don't spend much time in bright sunlight, or if you are of Asian origin. Vitamin D contributes to the normal absorption and utilisation of calcium and phosphorus and helps maintain normal bones and teeth, and supports muscle function. It also plays a role in immune system support. Take one tablet daily, preferably with a meal. Do not exceed recommended use. Bulking Agents (Dicalcium Phosphate, Microcrystalline Cellulose), Starch, Sucrose, Emulsifier (Acacia Gum), Anti-Caking Agents (Magnesium Stearate, Silicon Dioxide), Vitamin E (as dl-Alpha Tocopherol), Tricalcium Phosphate, Vitamin D3.